One of my favorite things about all the travel that I get to do is the observations of people and their behaviors. Watching how people maneuver airports, various airlines and all of the other humans is fascinating. It’s through these observations that I make parallel comparisons between behaviors at an airport and life in the workplace. Take for example my favorite airline and their boarding process. Passengers are given only a letter and a number on their boarding pass and it is up to each of them to find their place in line according the numbers on the silver columns or signs overhead in order to board the plane. The other helpful piece to this process is talking with fellow passengers and comparing your boarding numbers to find your place. It’s this last piece that seems to take the most courage for people to do; engage with others, ask questions or appear the least bit vulnerable because they don’t understand the system or what they need to do to board their plane. It’s that vulnerability, maybe even embarrassment that manifests itself into so many other behaviors. 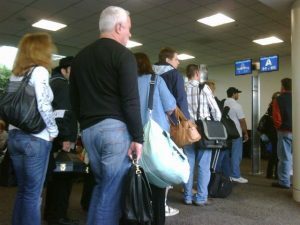 I’ve seen people become overly demanding in their tone to other passengers when trying to identify their place in line. Others will find a place in line and then giggle, apologize and move each time they are told by others that they should be in another area. One poignant moment occurred when I watched a passenger look at their boarding pass, the line and their boarding pass over and over, eventually taking a seat again with a very confused look. It was at that point that I asked if they needed any help or if I could explain the process so they could get in the line to board the flight. Instead, this passenger just shook their head and said they would wait to go at the end, which I knew would most likely be the discomfort of a middle seat and possibly no overhead space for their carry-on luggage. There are certain processes in life that most of us are familiar with. But when you’re new to something or when that process is done bit differently, it can throw us off and cause us to pause and even change our normal behavior. For some individuals, a change in the familiar can cause an almost paralysis in forward motion. The workplace can sometimes be like the boarding process. If you’re new to an organization or position, you go in on those first few days using the knowledge you’ve gained at other jobs or departments, hoping that knowledge will help you manage the system. Quite often however, we find that we’re not quite sure what is going on or maybe even what’s expected from us. We feel somewhat lost, vulnerable even. It is at that point that we have to make a very important and character, revealing decision; do we just take a seat and let others go ahead of us and then follow behind or will we quickly come to terms with the fact that we need more information to be successful. Use your knowledge as an asset. You got where you are because of it and your past experiences can help you sort out what you still need to learn. Be willing to ask questions. The saying, “there’s no such thing as a stupid question” isn’t just a quaint phrase. It’s okay if you don’t know something. Ask and learn from the experience of others and grow from there. Observing others is an important part of the process. Being complacent is not. Make a choice to be a part of the development in your role, your job, your organization. The other side of this “boarding process” is the climate that the organization creates. It is incumbent upon a business and/or various departments to encourage a caring atmosphere that allows for questions and embraces a learning environment. It’s that type of workplace that is transformative. It inspires creativity and fosters a true desire to be a part of the progression, mission and overall success. Sometimes, we do everything necessary and we still to take the middle seat and to check our bags. This too can be a learning opportunity. But the questions remain, were you willing to positively engage with others around you to seek out the additional knowledge necessary? Were others there to help answer your questions as well as recognize that it’s okay for folks to feel a bit vulnerable? Everyone may need a little more support at times. What will you do to help someone understand the process? 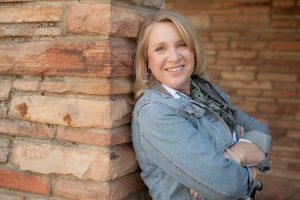 Lori A. Hoffner has been offering training for positive youth development, community networking and organizational relationship building since 1997 and has spoken nationally regarding youth program development, employment and staff engagement as well as multiple community issues. Lori’s passion lies in sharing a message that drives home the importance of staying positive in any situation, creating positive environments employees can flourish in and cultivating kindness in any community.